Lincoln's bestselling midsize sedan is back for the 2017 model year and its better than ever. The all-new 2017 Lincoln MKZ is getting a gorgeous refresh this model year, showcasing a new exterior design, as well as new interior amenities and even more powertrain options. Take a look at our full 2017 Lincoln MKZ review to discover even more about this fantastic luxury sedan available now in Grapevine. 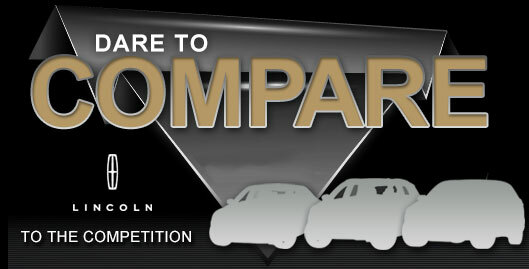 Drivers will be able to choose between two trims on the 2017 Lincoln MKZ near Dallas: base and Black Label. The base trim is further broken down into three available packages (Premier, Select and Reserve.) Standard features on the newly updated sedan include the SYNC 3 infotainment system, satellite radio, an 11-speaker sound system, auto-dimming rearview mirrors and a leather-wrapped steering wheel, just to name a few. Choosing one of the higher trims gets you even more luxury features from a voice-activated navigation system and genuine wood trim to ambient interior lighting and a power trunk lid. The sedan's Black Label trims are all-new this year, offering such features as a retractable panoramic glass roofs, personal in-home design consolation and specially designed doors. There are also two new Black Label themes: Chalet and Vineyard, which provide even more luxury to the 2017 Lincoln MKZ in Grapevine. 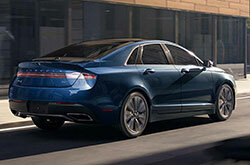 There are several luxury powertrains available on the all-new MKZ, including a 2.0-liter turbocharged inline-four-cylinder. Brand-new for this model year is a 3.0-liter V6 engine that produces a fantastic 400 horses and 400 lb.-ft. of torque, making it the ideal choice for those looking for high-powered luxury sedans near Dallas. The sedan's hybrid powertrain carries over from the year before. It is made up a 2.0L four-cylinder engine and an electric motor and produces a nice amount of horsepower, as well as excellent fuel numbers for its class. Several 2017 Lincoln MKZ reviews have highly recommend the luxury sedan because of its wide array of standard and available safety features. Sporting everything from antilock brakes, front knee airbags and dual-stage airbags to more advanced amenities like emergency brake assist, the teen driver MyKey system and Pre-Collision Assist with Pedestrian Detection, the MKZ stands out among its competitors. To find out more about the all-new 2017 MKZ sedan, visit us at Grapevine Lincoln today! 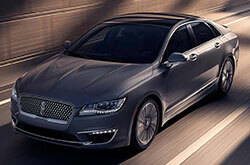 The LINCOLN MKZ Is on Sale! If you live in the Dallas area and have been considering a new car like the 2017 Vovlo S60, Lexus IS and the Infiniti Q50, we propose you take a good hard look at the 2017 LINCOLN MKZ. The car's opulent cabin amenities and eye-catching exterior design could wind up being just what you need from a daily driver. Utilize the details from our report to determine if the 2017 LINCOLN MKZ is suited for your needs and budget. 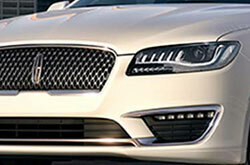 Also make sure you take a glimpse at LINCOLN financing offers on our site! Find finance offers on the critically acclaimed LINCOLN MKZ at Grapevine Lincoln, a neighborhood dealership with a standout selection of LINCOLN models. We've provided this 2017 LINCOLN MKZ review because it's paramount to make an educated decision when you're purchasing a car. 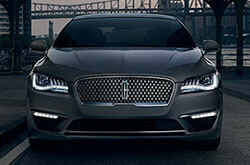 You will be blown away when you visit Grapevine Lincoln to test drive the LINCOLN MKZ; we welcome you to come experience the model up close. Before visiting, you can take a peek at its modern equipment by checking out the embedded video clip.